Reliance Worldwide Corporation Limited (“RWC”) has successfully closed on the acquisition of John Guest Holdings Ltd.
RWC is a leading global manufacturer and supplier of premium-branded engineered water delivery, control and optimisation products and solutions for residential and commercial plumbing applications and is the premier manufacturer in the world of brass push-to-connect (“PTC”) plumbing fittings. John Guest is a global leader in plastic push-fit fittings and pipe with products distributed worldwide. The company operates three purpose-built manufacturing facilities in the UK and has a well-established international sales and distribution network. Its product portfolio services three end markets: Plumbing & Heating, Water Quality & Fluid Dispense and Industrial PTC. Its portfolio of well recognized brands includes JG John Guest®, Speedfit®, JG ProLock™, and POLAR CLEAN®. 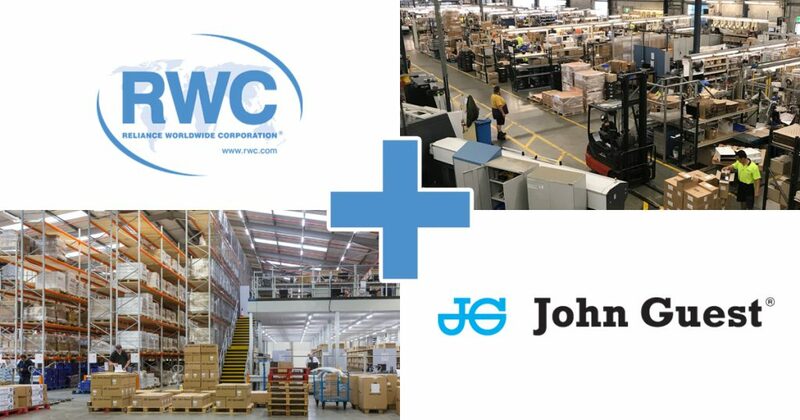 The acquisition of John Guest is a strong strategic fit and aligns with RWC’s strategy to add complementary products which broaden the solutions offered to end users and expand its market presence, particularly in Europe. The combined business will provide an end-to-end solution with applications from meter to fixture and floor to ceiling from a single manufacturer. The combined product offering will serve to improve end user efficiency by reducing installation times, improve reliability and durability. Heath Sharp, RWC Chief Executive Officer, said: “We are excited to bring these two great companies together. Our team is genuinely impressed with John Guest’s people and the culture within the organisation. The company comes with a long history of innovation and industry leading execution. John Guest has created strong, well-respected brands that are highly regarded in their key markets globally. They bring innovative, clever products that we believe we can successfully leverage through our well-established international distribution network. “We see alignment between our operations, products, and markets which will bring future growth opportunities for the combined group, particularly in the UK and continental Europe.